National Car Mart III is committed to excellence – but we are also always looking for ways to improve. Let us know how well we hit our mark of perfection by rating us below. We appreciate you taking the time! Larry Bauer was my sales person and he made this the easiest car buying experience i have ever had in my twenty years of buying and selling cars. and they gave me a great deal on my trade. I would recommend this dealership and Larry to anyone i know who is looking for a new car or truck. I love love this place. They took a chance on me when no one would, because of past credit issues. 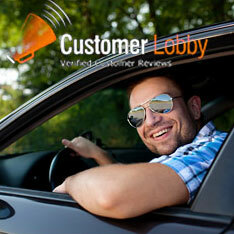 They found me financing, made sure the vehicle was dependable and I have purchased 3 vehicles from them. I would highly recommend them. Good, honest regular folks, just trying to help people out.